Nylon tricot gown with embroidered bodice. 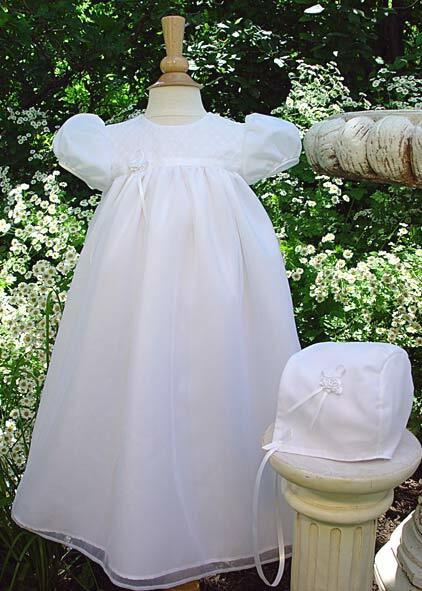 Gown is lined with a lightweight taffeta and includes a simple matching bonnet. Hand washable. 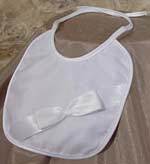 Recommended accessories include shoes, socks, bib and blanket. Other accessories are also available. 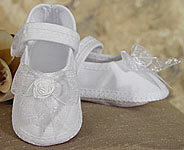 Sizes available: 3,6,12 month. Heirloom Preservation Bag suggested for long term preservation. Shipped on plastic hanger in polybag.